List Rules Vote up the most terrifying ads. Imagine you're sitting in the dark watching a scary re-run of The X-Files on TV, when it cuts to commercial. An ad comes on where a group of people are driving down a desolate road when all of a sudden, a demon leaps on the hood of their car, terrifying the both of you! While perhaps not the wisest way to build brand loyalty, some companies have gone for the creeps to get a consumer's attention, and it's certainly a useful way for a PSA to make a lasting impression. And while those scary commercials are intentionally creepy, others frighten the hell out of us without meaning to via unsettling mascots and disturbing toys. From vintage dolls who will have you in proverbial (and literal?) stitches, to horrifying clowns, to a bed-in-breakfast delivery that will have you wondering just how long a bobble-headed king watched an unaware man sleep, these horribly creepy TV commercials are sure to scare the crap out of you. Of all the PSAs on this list, this on is hands-down the most f*cked-up. Words do not do it justice, so you'll just have to watch it to find out. Once again, the British give us a commercial that isn't afraid to punch you right in the stomach and laugh. This extremely effective but graphic and disturbing seatbelt PSA from the UK does what every horror film worth its salt should do: it shocks in order to stir a reaction from the viewer, here relying on realistic violence and clashing, peppy party music. A brutal video that gets the job done. 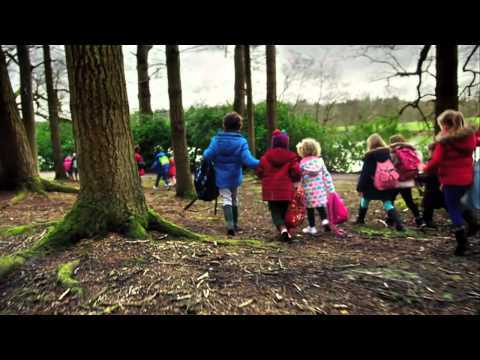 This jarring 2012 PSA from the nonprofit Fragile Childhood features several young children being traumatized by hideous monsters while everyone around them seems blissfully unaware. The monsters wrestle them into their coats and buckle them into the backseat while the children look on in bleak, resigned horror. 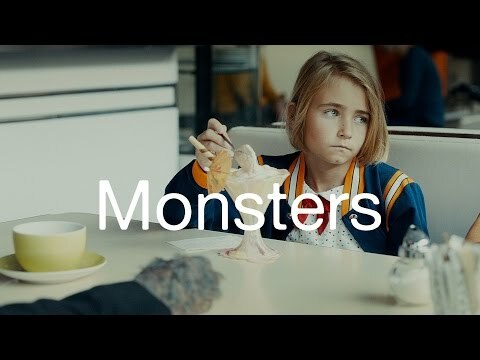 The grim point of the ad is that the monsters are visual representations of the children’s parent’s alcoholism. “How do our children see us when we’ve been drinking?” the caption asks. Disturbing as hell, to be sure. This 2012 spot for Philly-based Little Baby’s Ice Cream looks more like a teaser for an upcoming season of American Horror Story than an advertisement meant to inspire consumerism. A person with bright green eyes appears in front of a black background covered in a thick white paste that is presumably Little Baby’s Ice Cream. In a voiceover, a man talks bout how the ice cream keeps him young while the figure uses a spoon to scoop ice cream off the top of its head and eat it. “I love my job. I love my life,” he asserts, words reminiscent of Radiohead's terribly creepy and depressing tune "Fitter, Happier." The figure’s eyes are always wide open, always staring, and it appears as though the top of the figure’s skull is disappearing, as though perhaps it is made of ice cream, too.